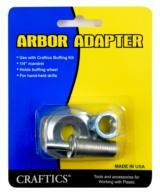 Arbor Adaptor This 1/4" mandrel with 1/2" arbor fits any hand-held drill. 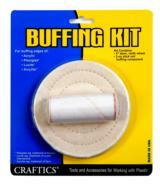 Use with Craftics Buffing Kit-P/N 1106019. 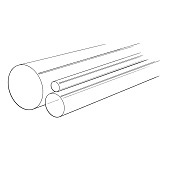 White Rouge Buffing Compound Bar Recommended for final polishing after Red Tripoli. Finest cut of the finishing compunds. Approx. 2lb Bar. Large Buffing Wheel-Loose Cotton- 6" diameter, 40 Ply, 5/8" Arbor hole. 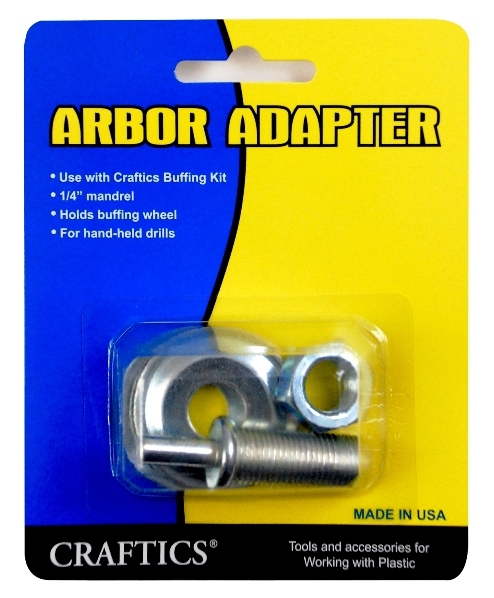 Large Buffing Wheel-Loose Cotton- 8" diameter, 40 Ply, 5/8" Arbor hole. Blue Rouge Buffing Compound Bar Recommended for finish or final buffing after using Red Tripoli. Preferred by plastic fabricators! Approx. 2lb bar.